I have just added this new Alice in Wonderland charm bracelet to the site. 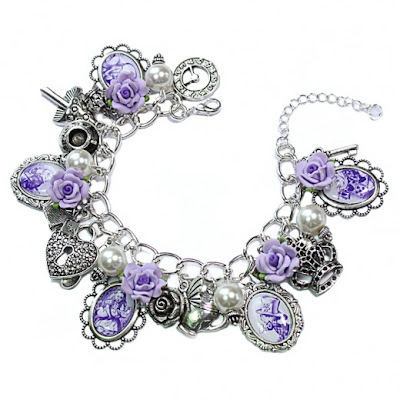 This Purple Alice in Wonderland charm bracelet is one of my favourite Alice in Wonderland jewellery designs! The purple and silver seem to compliment each other perfectly! This gorgeous Alice in Wonderland charm bracelet depicts lots of magnificent elements from the Alice in Wonderland story. 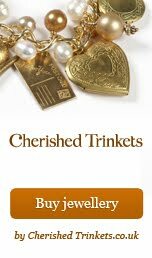 Attached to the silver plated chain is a teacup, teapot, mushroom, padlock, clock charm, White Rabbit charm, Mad Hatter charm and lots lots more!